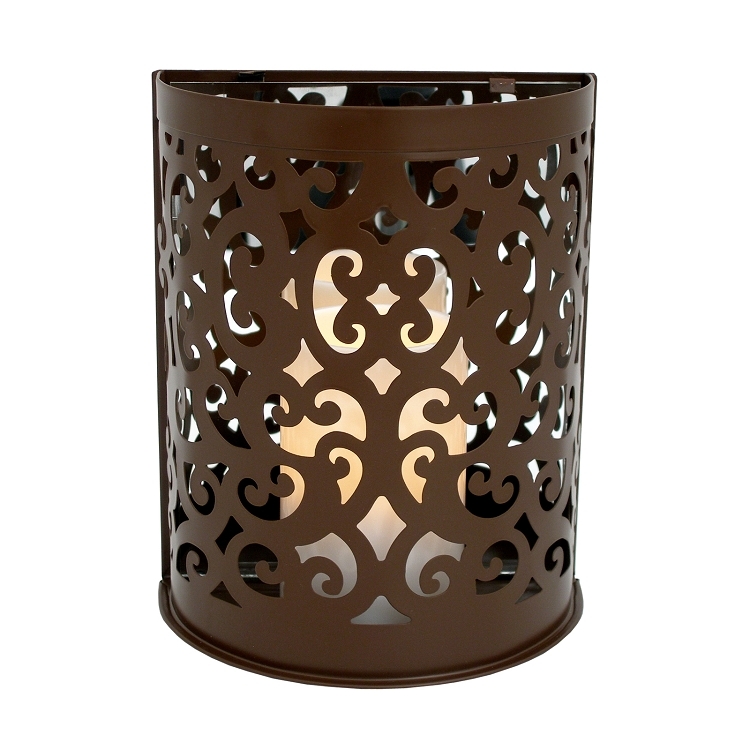 The Montrose flameless candle wall sconce adds a delightful accent anywhere inside or outside your home. Our Pacific Accents Montrose flameless battery operated wall sconces have graceful curls and scrolls etched in iron and a mirrored back, creating intricate patterns of light and shadow. Each wall sconce includes a 3 x 6 inch flameless resin candle with a timer that allows for your choice of 4 or 8 hours of illumination at a preset time each day. Available in black or brown, each measures 7 1/4" x 4" x 8 1/2" and has a keyhole mounting bracket for easy hanging. 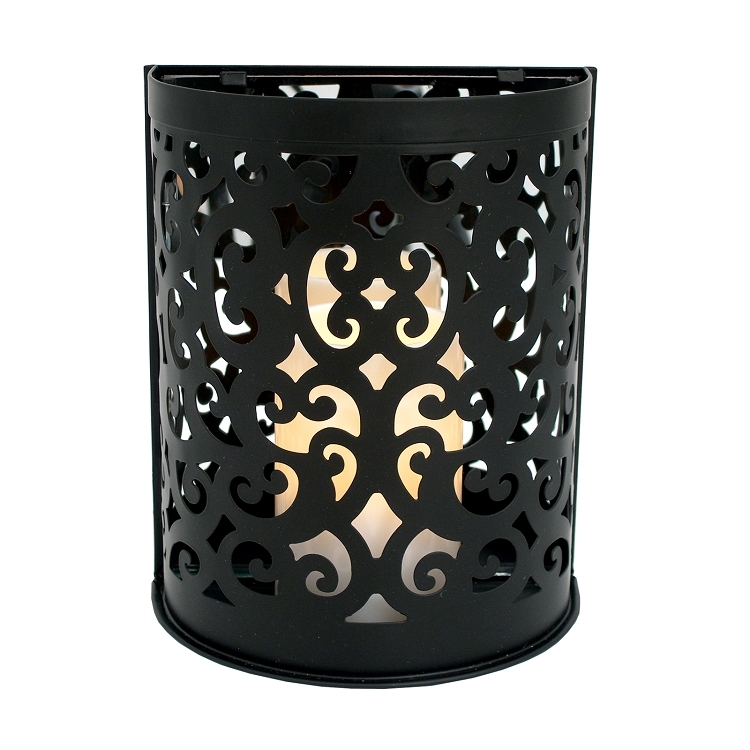 Because this sconce includes a flameless resin candle, it is suitable for outdoor or indoor use. Requires 2 Alkaline C batteries (Not Included). These wall sconces look great when used alone, in pairs or multiples. The Montrose can even be used as part of a table centerpiece.